While Zimbabweans had largely moved on with life after the July 30 harmonised elections, the European Union (EU) has sought to drag the country back into election mode through the release of its Zimbabwe Elections Observer Mission report on Wednesday, 10 October 2018, in which it made several unsubstantiated allegations on the conduct and legitimacy of the polls. As a background, it is vital to note that various EU countries have various sanctions in place against the Zimbabwe Government and individuals. These sanctions stem from the implementation of the country's historic land reclamation exercise which saw the displacement of the EU's kith and kin from the country's lucrative farming sector. It is a public secret that, up to date, zanu-pf has largely not been forgiven for this cardinal sin against the imperial West. Back to the elections report, the EU acknowledged that President Mnangagwa had implemented his pledge for a peaceful and transparent electoral process. The report's executive summary says "the commitment to hold credible elections by the interim President was welcome . . . the right to stand was provided for, the elections were competitive and political freedoms during the campaign were respected. On Election Day, voters enjoyed the right to vote and both the campaign and election day were largely peaceful." This is a significant certification of the whole electoral process, which acknowledges the peace and freedom that prevailed throughout the campaigns and on the voting day. Against this background, the EU surprisingly claims that "the right to an effective legal remedy was not provided for" during the electoral process. Readers may remember that the Zimbabwe Electoral Commission (ZEC) had initially planned to release the voters' roll after the sitting of the Nomination Court on 14 June 2018, arguing that it would be releasing the voters' roll to confirmed candidates with a bona fide locus standi to engage it on issues or anomalies noted on the roll. ZEC also argued that it was still in the process of cleaning the roll, given that it was the first time it had used biometric data for voter identification and registration. The MDC-Alliance took this matter to the High Court, which directed ZEC to release the provisional voters' roll, incomplete as it was then. The release of the incomplete voters' roll caused disputes along the way as the Alliance accused ZEC of double voter entries, voters with identical data, and some other anomalies. This episode along the electoral process demonstrates that the MDC Alliance had access to an effective legal system that made decisions that safeguarded its interests. To claim otherwise is hypocrisy. Relatedly, the EU acknowledges that the Constitutional case brought by Chamisa against ZEC and President Mnangagwa lacked evidence. Had substantive evidence been provided, the Concourt would have found otherwise. The EU claims that final poll results announced by ZEC "lacked adequate traceability, transparency and verifiability." It is public knowledge that the MDC Alliance seconded its Chief Election Agent Jameson Timba and National Chairperson Morgen Komichi who camped at the ZEC National Command Centre, the Harare International Conference Centre (HICC), where they participated in the verification of results. Further, verification of the electoral process started at the polling station level where polling agents of respective parties were allowed to witness the polling, collation and vote counting processes. That other parties failed to deploy polling agents cannot be blamed on ZEC. Failure to deploy polling agents speaks volume about a party's capacity to govern. A party that fails to deploy two polling agents at a polling station, even from its membership on a voluntary basis, cannot be judged to be national in character, hence voters are justified to judge it on its capacity to have national structures for national governance. The claim by MDC-Alliance that it did not have V11 forms during its Constitutional Court case started at this point. The EU, then, is simply regurgitating the failure by the MDC Alliance to deploy polling agents and attributing it to ZEC. ZEC simply has no culpability for the failure by the Alliance to put its house in order. Information that later came out indicated that some Alliance activists refused to surrender the V11 forms to the Alliance headquarters as they were not paid for the polling duties. Their payments were reportedly abused by party bigwigs. It should also be remembered that the 1 August 2018 violence by the Alliance was over alleged delays by ZEC to release the poll results. According to Zimbabwean laws, ZEC had five days, from 31 July 2018 to announce the results, which meant that ZEC had up to 4 August 2018. Surprisingly, MDC Alliance-instigated violence broke out on 1 August 2018. Why did the Alliance not let ZEC do its work within the legal timeframe? This could have been part of a grand plan to manipulate the whole process. Another issue the EU harps on is the alleged abuse of State resources by zanu-pf. It is Zimbabwean law that an incumbent President does not resign/vacate office prior to electoral campaigns. In fact, to avoid a power vacuum, the President and Government remain in office until the inauguration of a new President. In this context, the sitting President continues to discharge his duties right up to voting day, in which case, he cannot be seen to be abdicating the responsibilities and accessories that go with the Office of the President. He continues to be protected by the State, while his movements and diaries are matters of the State. It therefore follows that the advantage of incumbency cannot be separated from the sitting President. Even in America, a sitting President seeking re-election continues to receive secret service protection and other office benefits. Even their opposition candidates are offered state protection. Following the 23 June 2018 bomb blast at a zanu-pf rally in Bulawayo, Government offered all presidential candidates State protection. Most of the candidates, prominently Chamisa among them, turned down the offer as a zanu-pf plot to either harm them or spy on their campaign activities. What more could Government have done? The EU accuses traditional leaders of mobilising support for zanu-pf. On this one, the EU can be forgiven for lacking contextual understanding of the institution of traditional leadership in Zimbabwe and Africa in general. There are no chiefs, headman or village heads in Europe. As such, their understanding of how this institution operates is very limited, such that they rely on their local lackeys, the MDC-Alliance, to make judgments. Traditional leaders are an integral institution that plays a key role in governance, albeit at the very local level. They get their guidance from their traditional norms and Government policies. As such, their association with the ruling party, which they also credit for national independence, is bound to happen as they also supported the very party during the liberation struggle. There exists an umbilical and organic relationship between the ruling party and the local governance system. Because the European bureaucrats deployed as election monitors do not appreciate this contextual set-up, they are bound to regurgitate MDC Alliance propaganda on alleged chiefs' partisanship. Chamisa is on record bragging of support he enjoys from chiefs who have been spotted at his campaign rallies. On voter registration, the EU claims that the exercise was not inclusive in Harare and Bulawayo, the two cities that are known as the citadels of MDC support. It is surprising how ZEC could sabotage voter registration in these two cities, coincidentally the hotbeds of MDC support. If Chamisa is to win the presidential election, it is as clear as day that he banks on urban areas in general, and Harare and Bulawayo in particular, for support. This is confirmed by the fact that his parliamentary and council candidates won majority of seats in these areas. It follows that these voters even voted for his presidential ambition. It is important to note that registering as a voter and voting are not legally compulsory in Zimbabwe. As such, if potential voters do not present themselves for registration, ZEC has no legal recourse to force them to do so. If the EU wants to assist the MDC to increase its urban vote, they should help through interrogating why its supposed supporters are not registering to vote. The prevailing economic situation may offer insights into this. The bulk of MDC supporters, as noted, are in urban areas, where, due to the harsh economic environment, they are surviving on vending and other informal activities. Given this scenario, the bulk of the MDC supporters view the registration processes as a distraction from their vending activities. As such, they do not go to register. They, however, remain very vocal in condemning Government on social media, in the process giving false hope to their leaders that they will translate this verbal support into votes. This is not happening, leading to Chamisa and company claiming substantial support from unregistered people. Therein lie their loss. On the other hand, ZANU PF has an effective mobilisation strategy through which its supporters are mobilised to register as voters, and actually vote on voting day. Further, ZANU PF has managed to maintain a core of faithful voters over the years. A careful analysis of all the issue raised by the EU simply shows that they are a mirror of the perennial complaints that have been raised by the MDC since the late Morgan Tsvangirai lost his presidential election to former President Robert Mugabe. It has to be acknowledged that ZEC is no saint in election management. 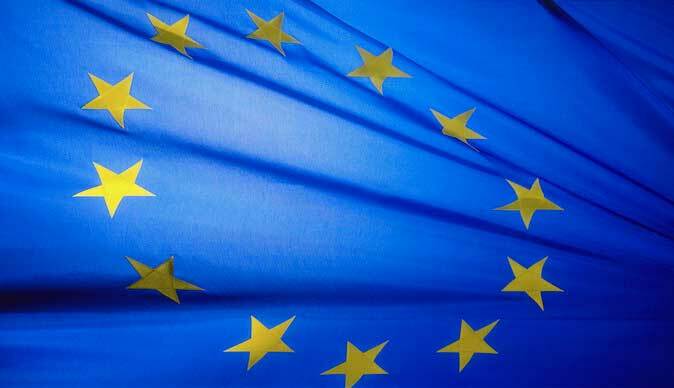 The EU, just like other international observers like the SADC, African Union, COMESA and the Commonwealth, noted and urged improvements on various aspects of the electoral process. No electoral process can be free from various irregularities, no matter how insignificant they may appear. Readers may remember that George Bush (Junior) won the US Presidency against Al GORE in the Supreme Court in 2000. Because their politics put national interest ahead of parochial personal interests, Gore accepted the result and congratulated Bush. Not in Zimbabwe where the losing Chamisa would want the nation brought to a standstill because he has lost. This is despite the acknowledgement by the EU that Chamisa's case at the Constitutional Court lacked evidence. As President Mnangagwa has promised, various recommendations from various observers will be taken into consideration for future elections. Therein lies the beauty of the new dispensation: its tolerance and reception to divergent views.